Thanks for taking the time to find out about Bark Busters Home Dog Training Swadlincote. My name is Lee Hardy, and I’m your local dog behaviour therapist and trainer. If you are struggling with your dog’s behaviour and/or training, I can promise you that you are not alone. You may feel that nothing is working for you or that your dog is untrainable. You may even be considering giving up your furry friend because you simply can’t cope with the stress. If you feel that things are out of your control, I can help. 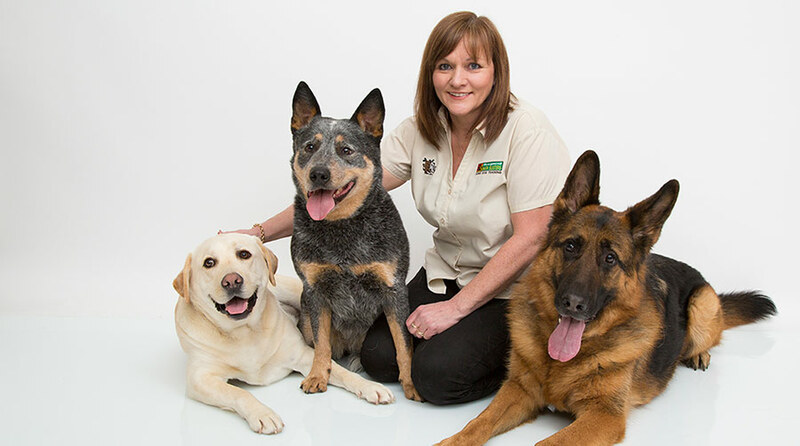 I’ve been successfully training dogs in and around Swadlincote for over 18 years and have trained over 3,500 dogs and their owners during that time. Very often, problem behaviours are easily turned around once owners learn how to communicate in a kind and effective way that their dogs will understand. I was once in the very position where you are now. My first dog was a black Labrador called Rannan. Her behaviour was so bad that my life was out of my control and I was desperate for help. Extreme aggression to other dogs was the main issue to the extent that many people suggested she be put to sleep. I couldn’t and wouldn’t accept that this was the only option for such a beautiful dog. That was when somebody recommended Bark Busters and so I called them for help. 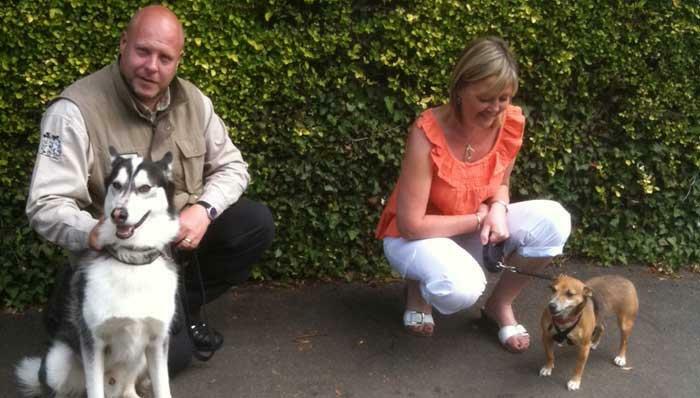 The Bark Busters system of training is built on communication and is kind, simple and effective. I learnt how to communicate with Rannan in a consistent way. She quickly learnt that I would keep her safe, so she could relax and enjoy her life without worrying about guarding me and the family. She became much happier and more relaxed once she learnt that she could rely on me as her leader. She began to listen to me rather than panicking and making her own dangerous decisions. Everyone was happy. I was so impressed by the logic and simplicity of the system that I went on to train as a Bark Busters behaviour therapist myself and now work in and around the Swadlincote area. After 18 years and 3,500 dogs, I have never regretted that decision. My work with dogs and their owners brings me great satisfaction. I love to see the happiness on owners’ faces once they realize that their dog does listen and can learn. We want our dogs to be a happy and well-behaved member of the family. However, dogs look at things differently to humans and can sometimes ge things wrong. This doesn’t mean they are deliberately naughty or out-of-control dogs – they are simply unconvinced by our ability to lead and so will take on the role, making decisions for themselves that we don’t always like. This is where my expertise and experience will help you and your dog to start understanding one another again. The training programme is fun and easy-to-follow. In many cases, owners are amazed at the speed of the changes in their dog. I see all sorts of problems; pulling on the lead, boisterous behaviour, barking or howling, separation anxiety, destruction, aggression, toileting, sibling rivalry, separation anxiety, and many other issues or combinations of issues. From households with a single dog or multiple dogs (I once trained a household with 12 dogs) to those with rescue dogs who are struggling to settle in, or those with a new puppy, I help to ensure that dogs are happy, relaxed and well-behaved because their owners understand how to communicate with them. I can be confident when I say that I will be able to help you, and show you a way forward from any behaviour problems you may be experiencing. I can also help you get off to a good start with your new puppy, covering all the basics of puppy training. I currently have 4 dogs including a 5-month-old puppy who I have recently introduced into the family ‘pack’. My puppy and my older dogs are comfortable with and accepting of each other because of the care we have taken in ensuring that my dogs are properly introduced, there is sufficient, good-quality food for all, and that they all have the time and space they need to play and relax. I’ve also helped many dogs in rescue centres, particularly the RSPCA, to prepare their dogs for rehoming, and to ensure that they remain in their new homes. Feel free to contact me to see how I can help you or, if you’d like to know more, please feel free to read the testimonials from my happy clients. You can also keep up to date with all of the latest information and entertainment available on my Facebook Page https://www.facebook.com/BarkbustersDerby/. I look forward to meeting you and your dog very soon.